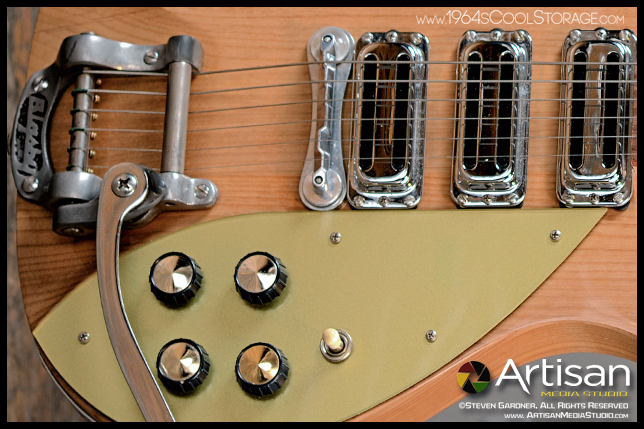 This is a 2003 Rickenbacker blonde C58 325 re-issue. 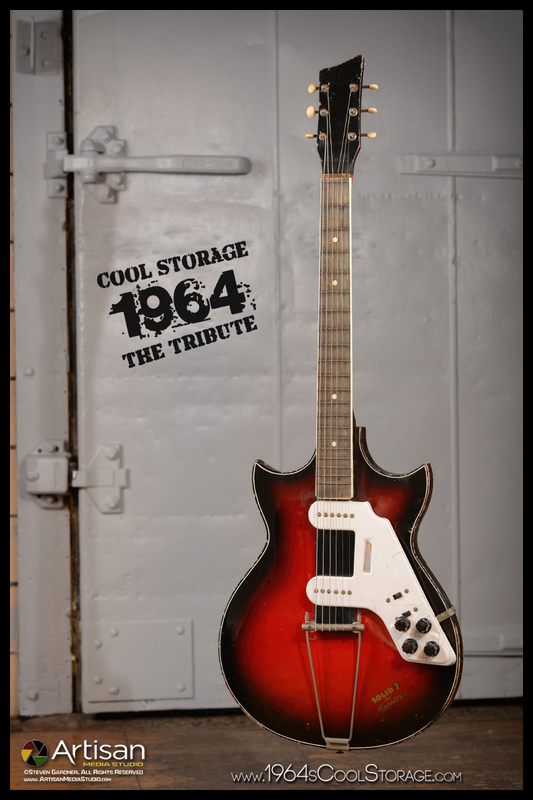 With radio knobs and Bigsby added, circa 1961, this guitar recreates how John Lennon's first 325 looked prior to it being pained black during the Beatles leather-clad Cavern appearances. Super lightweight alder wood construction with chunky neck profile and flat wound strings. Surprisingly solid sounding for a hollow body guitar with great sustain and chime. 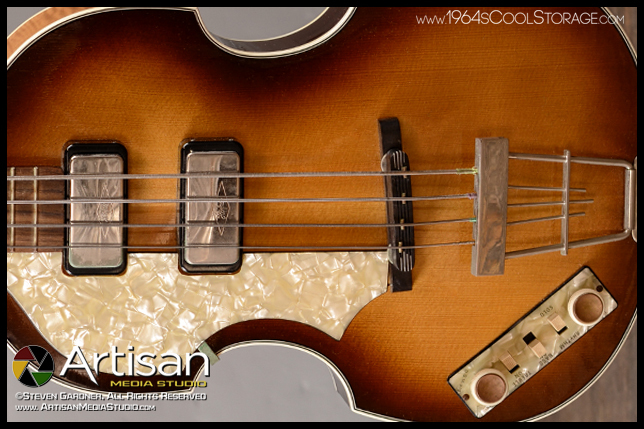 Beautiful Hofner re-issue of Pauls first violin bass which he used from 1961 to 1963. Fatter neck, flat back and a deep low end. Slightly hotter output as well. 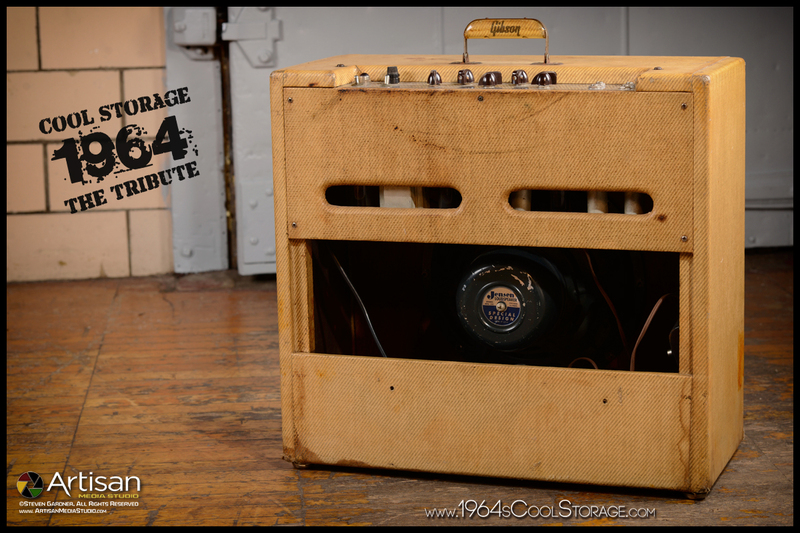 1961 AC15 Twin in rare and short lived fawn covering as used by The Beatles at The Cavern Club and other shows. 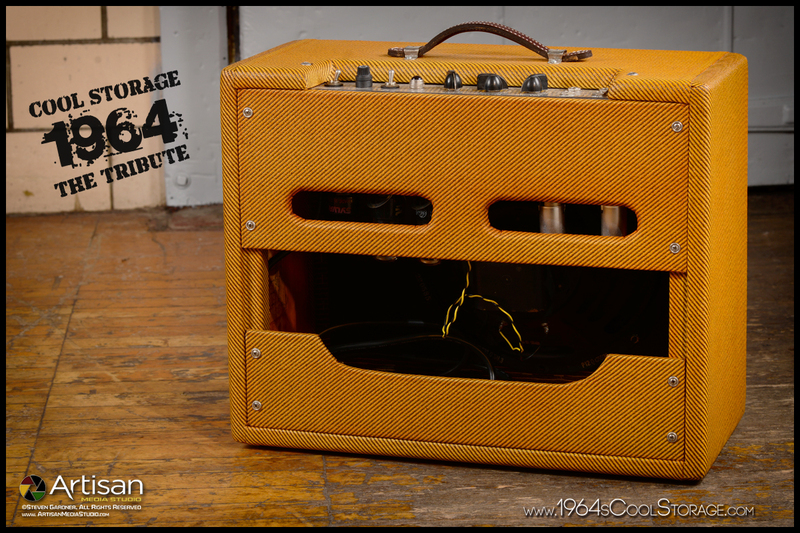 Not as bright or loud as a 'top boost' AC30, but perfect for rhythm guitar. 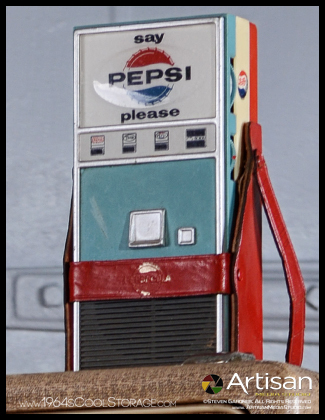 Rare 'tray style' chrome stand, Vox Tone Bender pedal, Pepsi transistor radio ala Paul McCartney and Hohner harmonica as used by John Lennon. Not a seven string and not actually solid, the Rosetti Solid 7 made by the Egmond company was a double cutaway semi-acoustic guitar purchased by Paul in 1960. Used first as a guitar, then as a bass, Paul had a variety of pickup assemblies on the guitar. This guitar has an Egmond-Royal PP2 pickup assembly similar to the one used on Paul's guitar shortly before modifying it into a bass. Two volume and two tone controls. Not a high quality instrument, the Solid 7 is very light weight and has a bright thin sound. 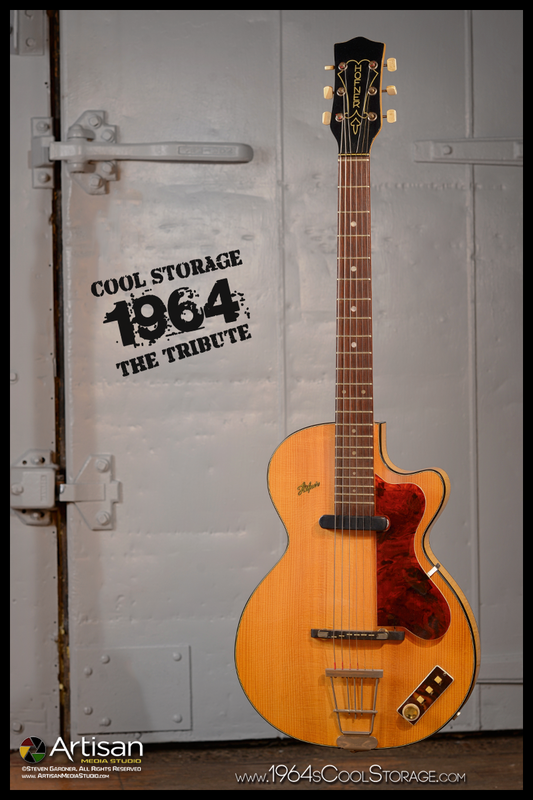 This beautiful example of a late 50's Hofner Club 40, like the one played by John Lennon, is in fabulous original condition. Vertical logo on a slightly narrower key head this guitar has a very fat but comfortable neck. Every time I pick it up I want to point to right field! 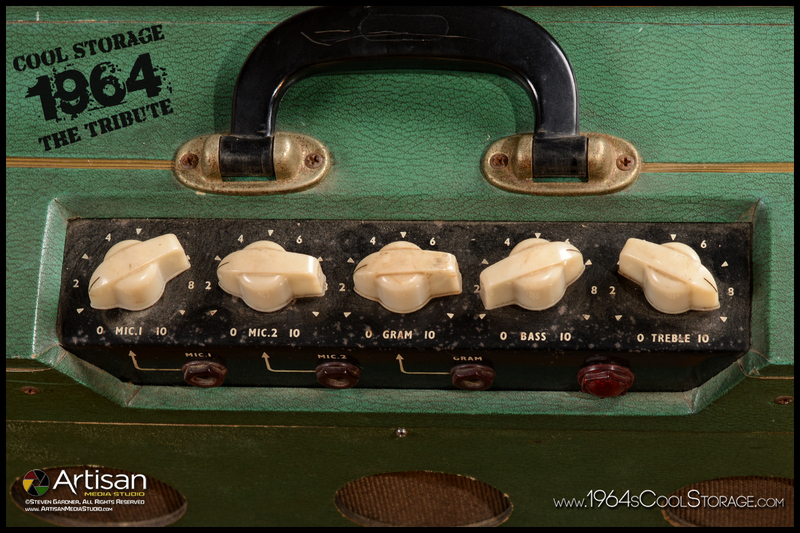 The pickup and control switches are surprisingly versatile and allow very usable lead and rhythm tones. George bought his Futurama because it was the closest thing in Liverpool to a Fender Stratocaster he'd seen Buddy Holly playing. 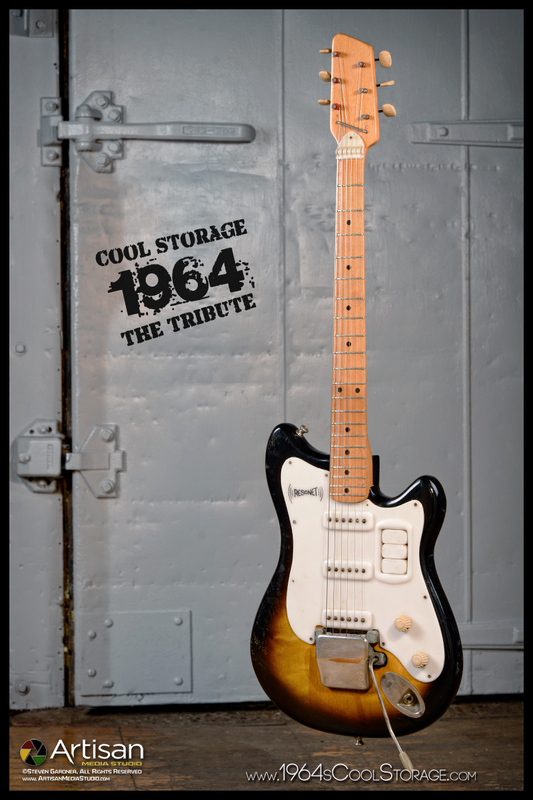 It is clearly modeled after the Stratocaster with the 'pale wood' neck and three pickups on the pick guard design. However, each pickup has an on/off switch that allows any pickup to be used by itself or combined with any of the other pickups, a feature not found on the Fender guitar. This example has slightly different tuners and a different font on the 'Resonet' logo. George has stated that his Futurama played terribly but sounded great. This one plays and sounds wonderful. 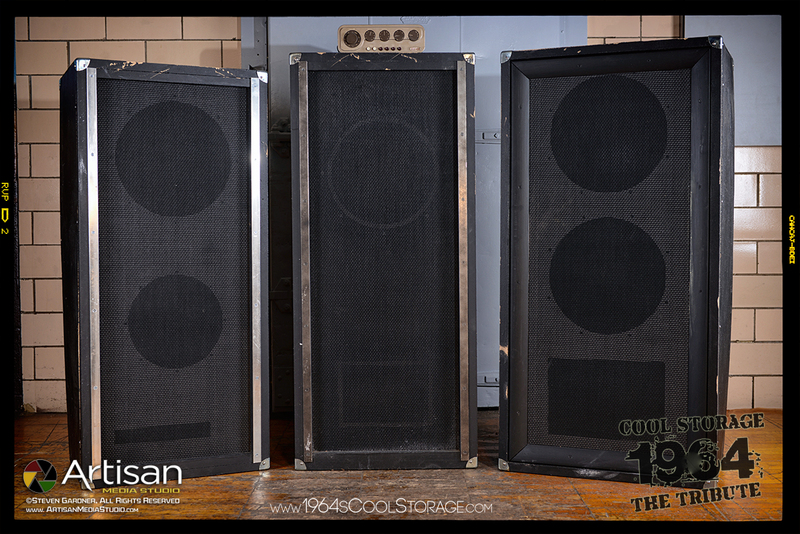 Through phone conversations with Adrian Barber (musician with the Liverpool group The Big Three, producer, electronics wizard) we were able to make these replica cabinets for PA and bass as used by The Beatles in The Cavern Club. 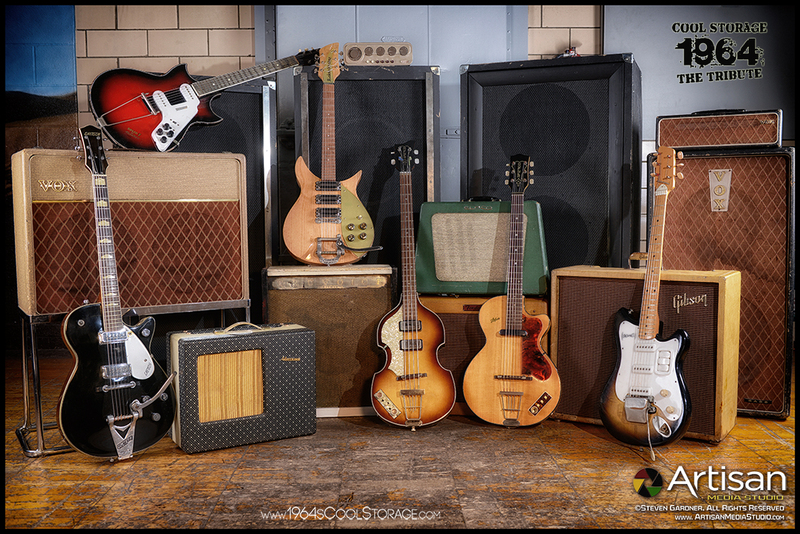 Adrian designed PA and speaker cabinets used by several groups in Liverpool, including Paul McCartney's 'coffin' bass cabinet (center). On top of the bass cabinet is a vintage Quad Model 2 HiFi tube preamp similar to the one Paul used at The Cavern Club in the early 60s. It's hard to describe in words the sound of these cabinets. Very open and hollow, which worked perfect for our use. I've never heard any other cabinets sound quite like these. 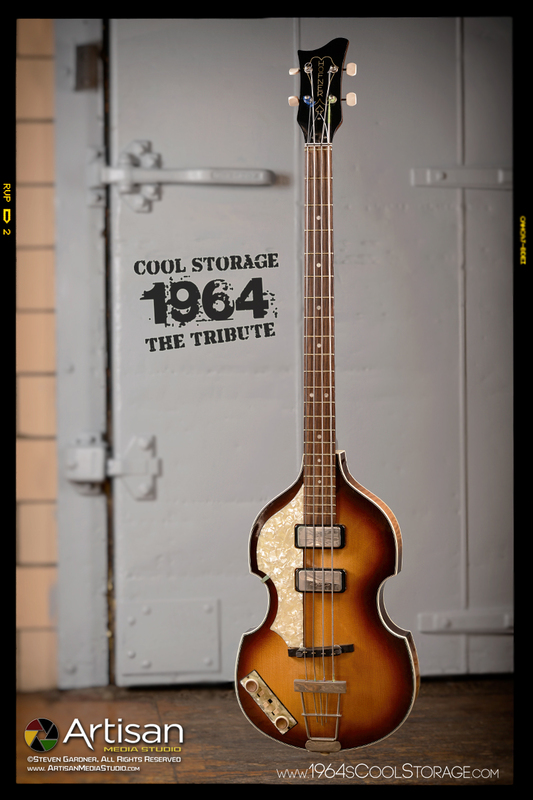 As used by Paul McCartney in 1963. 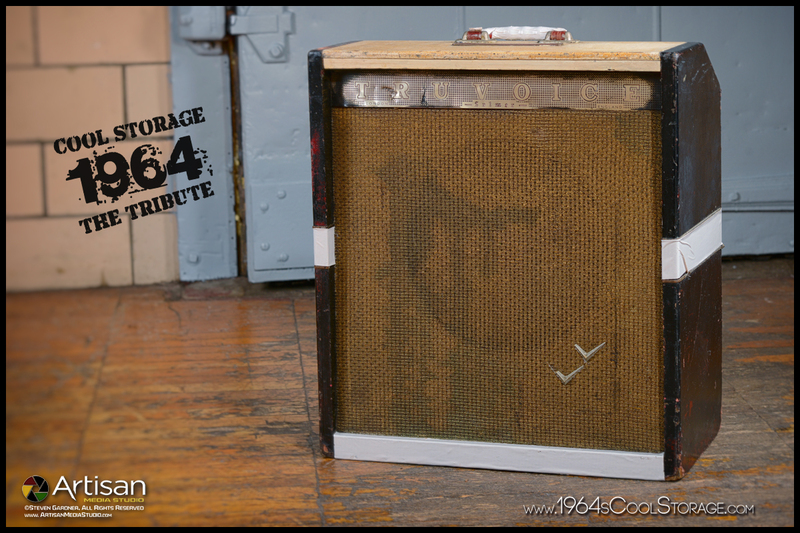 Transistor 30 watt head and cabinet containing one 15" Celestion bass speaker and one 12" Celestion blue Alnico speaker. A crossover in the bass cab filtered the lowest frequencies away from the 12" speaker. Rare plexi cream colored logo base. 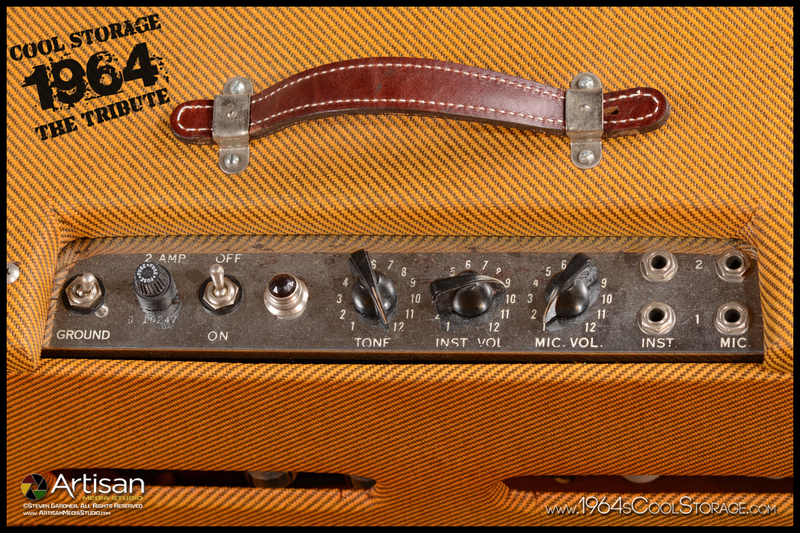 The amp head sounds nice enough but isn't very loud and proved to be unreliable. 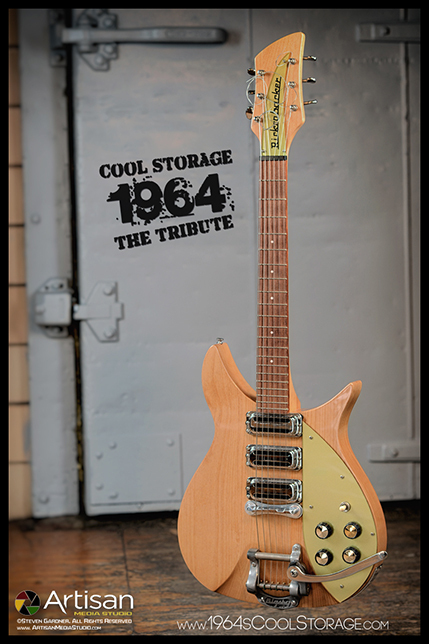 Paul soon replaced it with an AC-100 style tube amplifier. 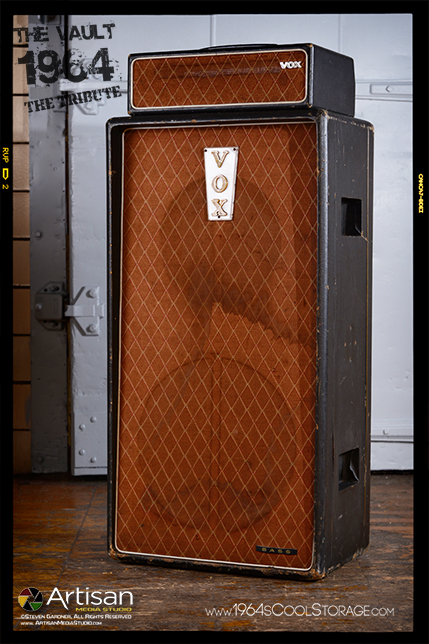 This vintage head and cab have matching brown Vox grill cloth and the rare smooth black tolex used briefly in the early 60s by Vox. 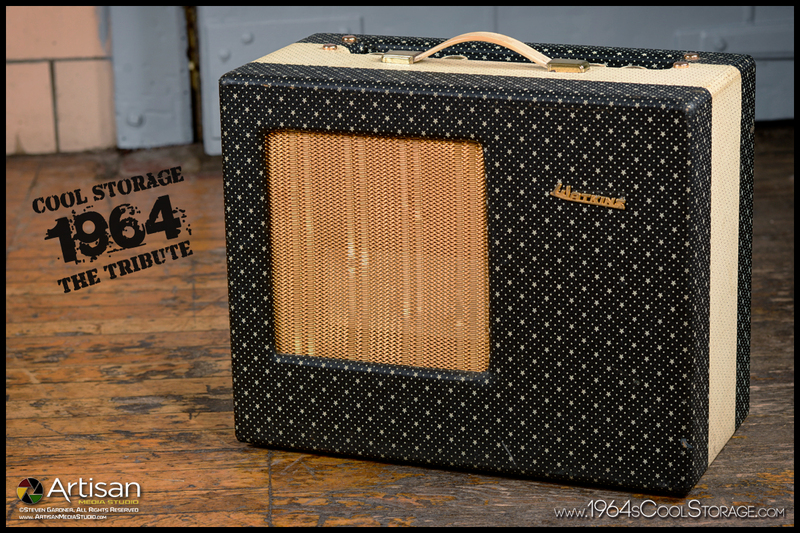 As used by Paul McCartney in the early Cavern shows and before, this uniquely styled amp is rated at 15 watts, powered by two EL84 tubes through an elliptical shaped 10"X6" Celestion speaker. It has two microphone channels and a Gramaphone channel. 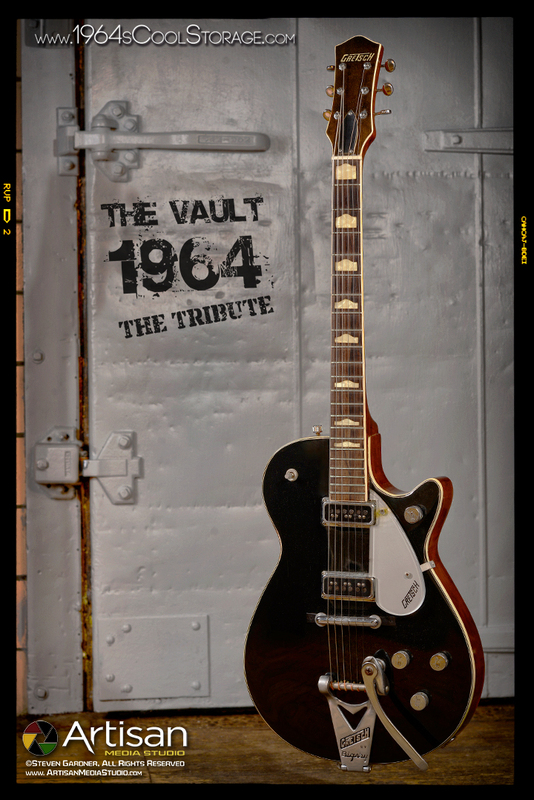 Used with the Rosetti Solid 7 when it was strung as a guitar and again when it was used as a bass guitar. 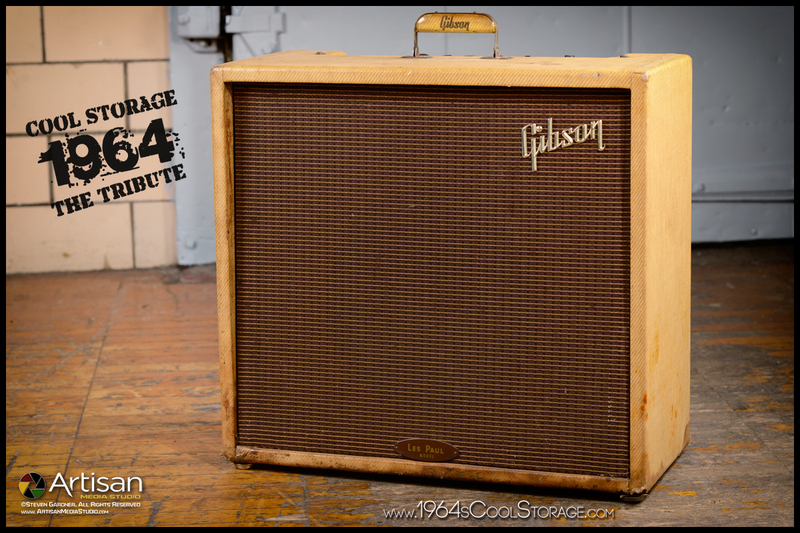 This is the same model and year of the Gibson Les Paul GA40T tweed covered amp that George used in the early Cavern shows. 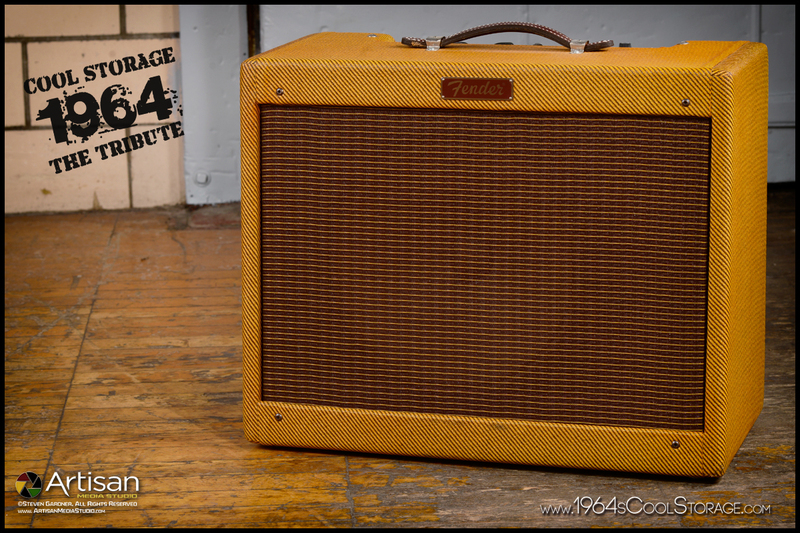 Sounding much louder than it's rating of 16 watts from its two 6V6 power tubes, this amp sounds as good or better than any Fender tweed amp. The single 12 inch Jensen speaker and open back cabinet design make this a very big sounding amp. 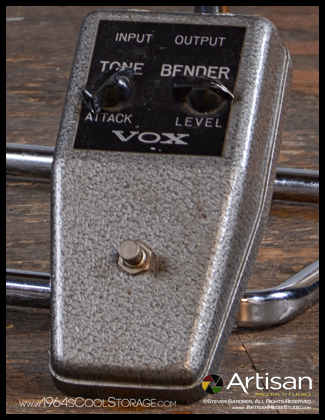 John Lennon's Fender tweed amp was called a Vibrolux indicating that it had a Vibrato circuit. In every other way it is the same amplifier as the Deluxe. 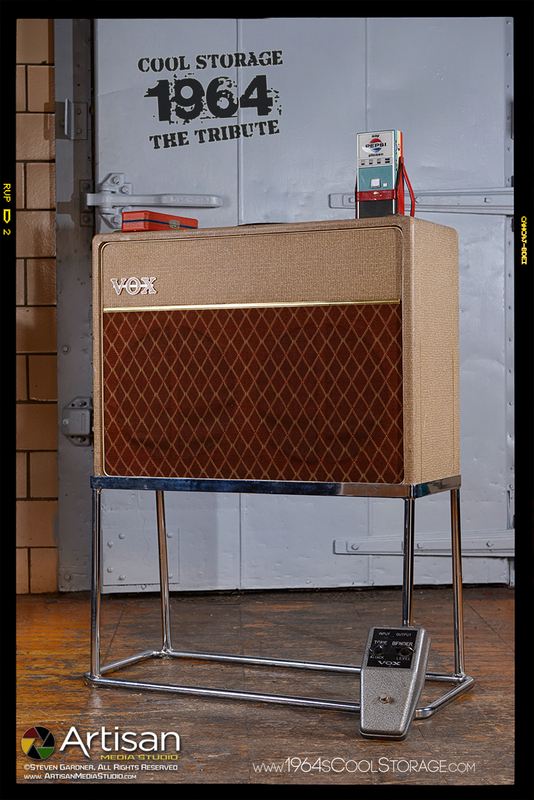 Same speaker, cabinet, tweed covering and amp circuit(minus the vibrato). 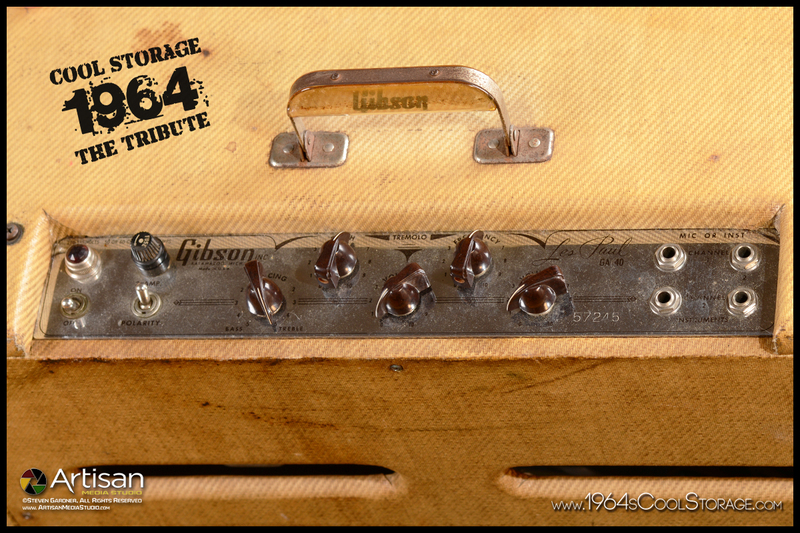 Two 6V6 power tubes and a single 12 inch Jensen speaker, very similar to the Gibson GA 40 amplifier used by George. 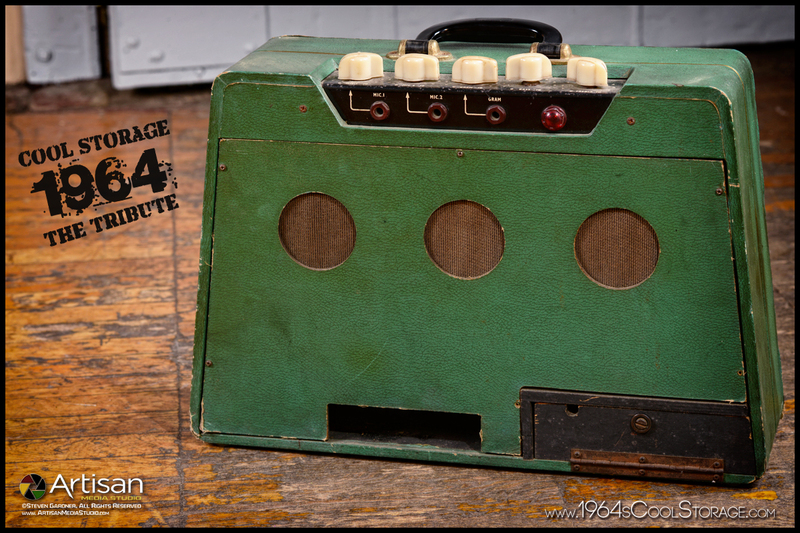 This amp was cosmetically and electronically restored by Mike Purkhiser to its original state. 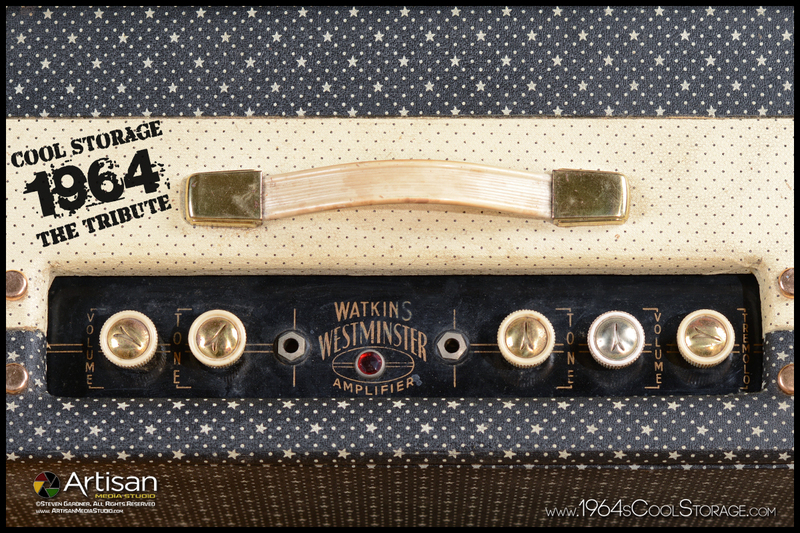 This is a late 50's Watkins Westminster amp similar to the one Stu Sutcliffe played through before The Beatles started using Vox amplifiers. 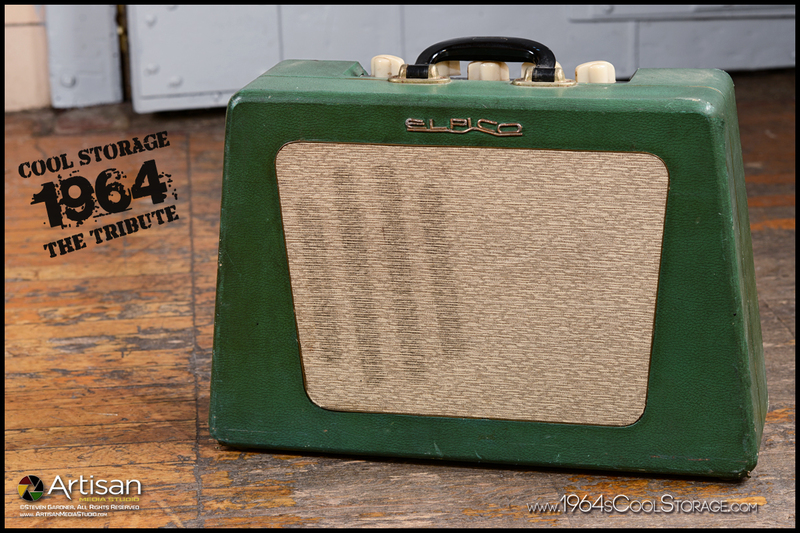 A rare 14 watt model powered by two EL90 tubes instead of the more commonly used EL84 models. Single 10 inch Elac speaker. Louder than you'd imagine and full sounding for a single 10 amp. Another pre-Vox amp used by several of the Beatles. 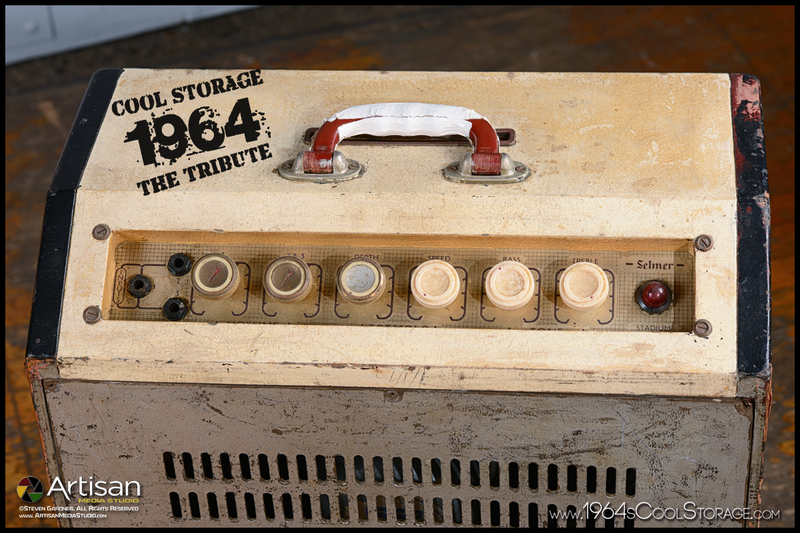 John and George both plugged into this amp at the same time in 1960, shortly after George purchased it from Hessy's music store. Single 12 inch speaker and 18 watts powered by two EL84 tubes, this amp was advertised by Selmer. 'For the boys in the big time only'. Big deep tone and plenty of volume for the clubs they were playing. This one has cosmetically seen its share of road work, but still sounds like it should.